As long I can remember… I’m holding a fishing rod in my hands. 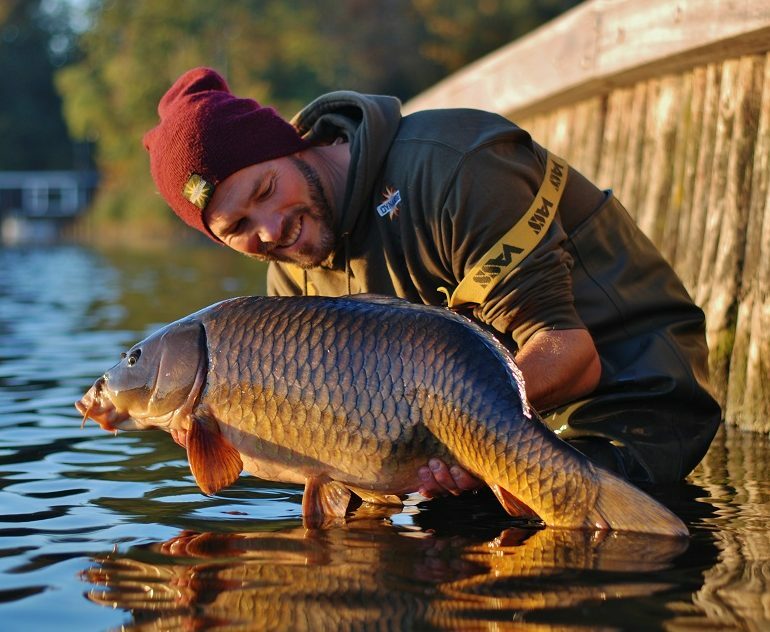 In my younger years I was chasing mainly small roach and later all kind of predators, but when I was around the age of 15, I landed a small common in the park and never stopped carp fishing since! I just really love spending time on the waters edge, enjoying nature and catching some stunning fish! Favourite Rig: Chod, Hinged-Stiff or just a simple basic line aligner rig. Favourite venue: My hometown is surrounded by large open waters. At the front, the rough river ‘De IJssel’ flows by and at the back some really large Dutch public lakes are situated. These big waters is where I spent the most of my fishing time. 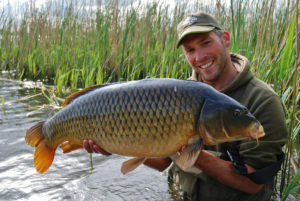 Top Carp Fishing Tip: A good preparation is half the job, good bait and gear does the rest! Fish you’d most like to catch: I’d still love to catch a fish over the 20 kilo’s from one of the big waters near my hometown. Highlight of angling career: Catching a 100% Dutch Leather-carp which was probably older than myself was a very special moment for me. Aim in angling: Enjoying the smaller things in life, being out there as much as I can and never losing the passion for angling!